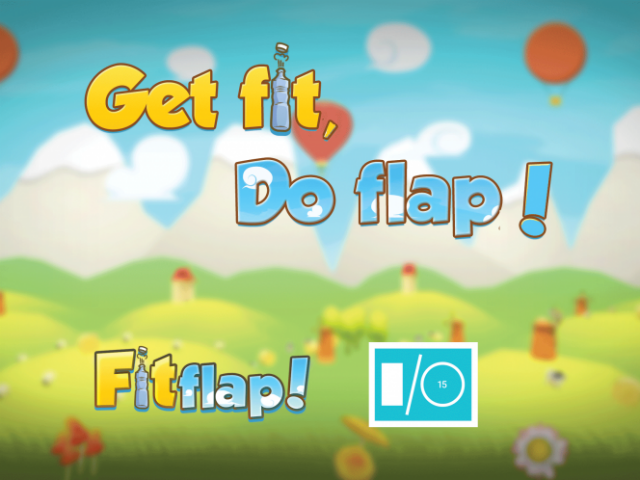 FitFlap will ask players to flap their arms to control the movements of their in-game characters. French independent game studio BreakFirst has announced its upcoming motion-controlled fitness title, FitFlap, is coming to iOS and Android devices later this year. The game will see players flapping or moving their arms to control the movement of their in-game characters, and will utilize the device’s camera to deliver body tracking and appropriately responsive motion-controlled gameplay. FitFlap was recently presented at Google I/O 2015, due to its adoption of the Google Cast Remote Display API. As players move, their phone or tablet can transfer the data to the user’s Chromecast connected to their TV, giving them a larger view of their characters as they fly through obstacle courses or complete other physical activities. The game will reportedly know the difference between small hand motions and true arm flapping, so users won’t be able to cheat the system. As players navigate side-scrolling courses, they’ll change their creature’s altitude by flapping or resting their arms to avoid obstacles in the path. If players wish to fly faster, they need to help the in-game characters lose weight by completing secondary games. One may see players quickly moving their arms as the character runs on a treadmill, as an example. Players have an “active responsibility” for each character’s weight loss, as well as weight gain, with the goal of helping users burn a few calories themselves as well. For years I’ve been super excited about the possibilities of motion gaming using existing camera hardware across different devices. FitFlap is exactly the kind of fun app that shows what’s possible, and as a small independent team it was amazing for us when Google decided to use it to showcase Google Cast at I/O. We’re just getting started – there is so much more our technology can do.